Prime Minister Shinzo Abe, fresh off his successful bid for a third term as leader of the Liberal Democratic Party (LDP) in the September 20, 2018, party election, announced a new lineup for his cabinet and for the LDP’s leadership on October 2, 2018. Three polls conducted October 2-3, after the reshuffle, found that the public’s reaction to the new cabinet was lukewarm at best. 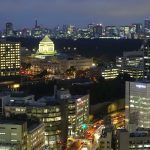 As recently as last month it appeared that Prime Minister Shinzo Abe was cruising to an easy victory in the Liberal Democratic Party’s (LDP) September leadership election, which would give him a third three-year term and position him to set the record as Japan’s longest-tenured postwar prime minister. 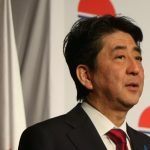 Over the past two weeks, however, the reemergence of a scandal regarding the discounted sale of public land to Moritomo Gakuen, a private school with links to the prime minister and the first lady, has raised doubts about Abe’s ability to win a third term–or even to survive until the end of his current term. 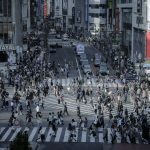 Post-LDP Leadership Election: What’s Next for Japanese Politics? Tobias Harris, Sasakawa USA Fellow for Business, Economy and Trade, was joined by Prof. Toshihiro Nakayama, Japan Fellow at the Wilson Center, for a September 21, 2018, policy lunch talk on the Liberal Democratic Party’s (LDP) presidential elections held the previous day. 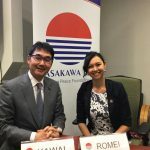 The discussion was moderated by Sayuri Romei, Sasakawa USA’s Associate Fellow for Security and Foreign Affairs. 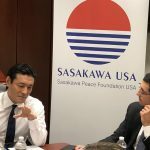 Sasakawa USA hosted Mr. Katsuyuki Kawai, Liberal Democratic Party Diet member and Special Advisor for Foreign Affairs to Prime Minister Shinzo Abe, on July 2, 2018, for a speech and discussion entitled “U.S.-North Korea Summit from Japan’s Point of View: Big Shockwaves from A Small Singapore Island.” Sasakawa USA Associate Fellow for Security and Foreign Affairs, Sayuri Romei, introduced Kawai and moderated the discussion section of his visit.